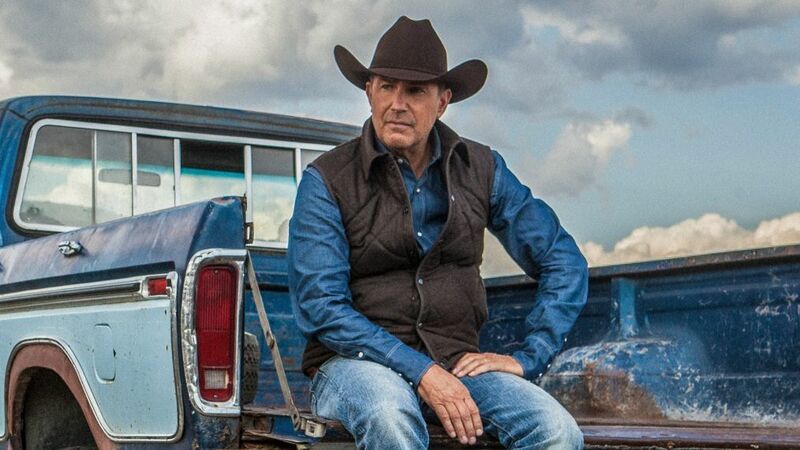 Oscar-winning Director and actor Kevin Costner (Dances With Wolves) stars in his first regular TV series role in the epic drama Yellowstone. He plays widower John Dutton, stubborn patriarch of a sixth-generation Montana ranching family whose spread, Costner jokes, "is as big as Rhode Island." The proud, set-in-his-ways cattleman is doing battle with real estate developers, a Native American tribe and even his own children. "There are a lot of forces coming at him," says Costner, who won an Emmy in 2012 for his work in the miniseries Hatfields & McCoys. The Paramount Network series premieres June 20. But John’s got plenty of fight. "He’s a billionaire and a cattleman, not a cowboy. He runs this place like a CEO. He has a horse and a helicopter." John makes use of both in the action-packed premiere, which spotlights his kids’ sibling rivalry. Eldest son and true cowboy Lee (Dave Annable) clashes with prodigal son and horse whisperer Kayce (Luke Grimes). Meanwhile, fierce daughter Beth (Kelly Reilly), master of the hostile corporate takeover, returns from her skyscraper office to help her father and torment brother Jamie (Wes Bentley), a super-smart lawyer desperate to please his dear old dad. Says creator Taylor Sheridan: "Yellowstone is a story of family, a story of expansion, and a story of resettlement."